Income statements are what a company or other entity uses to express its financial standing. 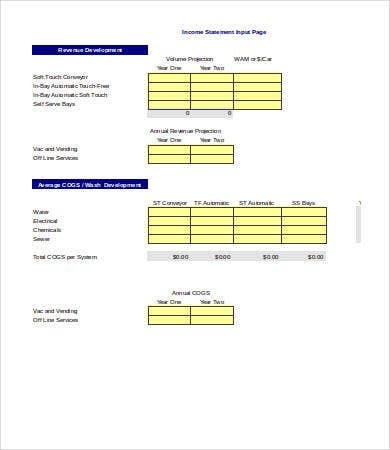 This document has various purposes, from tracking performance and assessing cash flows, to managing expenses, and presenting a summary to loan creditors and other prospects. A Statement Template that you can reuse for every accounting period is not difficult to make, but it can be tedious. It is still also an essential part of your business reports. To help you out, we have collected a series of free Excel income statements you can completely modify to suit your needs. How Do I Use These Statement Templates? You will first need to define what you need and then choose a template that best fits your requirements. 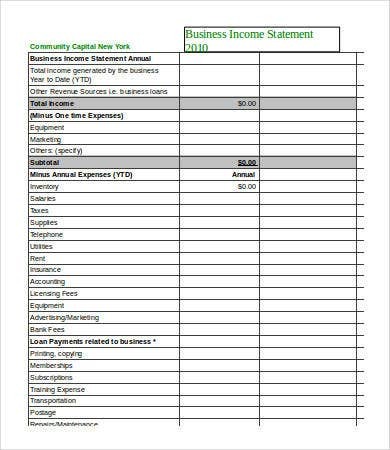 Personal Income Statement Template. 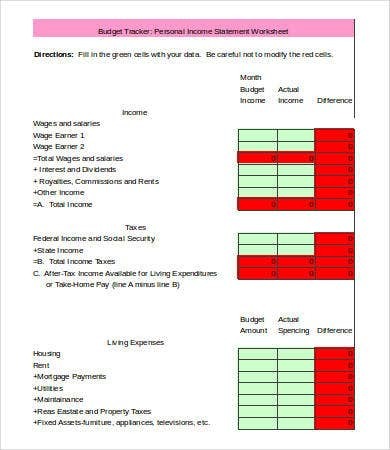 This Excel file shows how a personal budget can be tracked and presented in an organized layout. Useful when you are applying for a loan, for credit, or just want to get your financial situation under control. 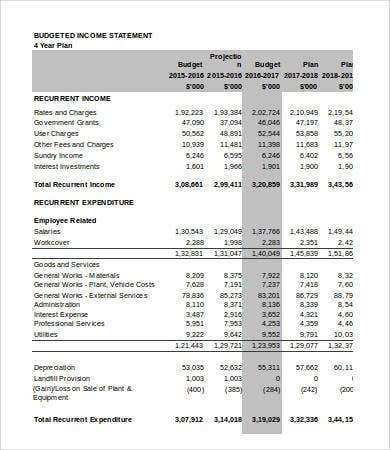 Projected Income Statement Template. 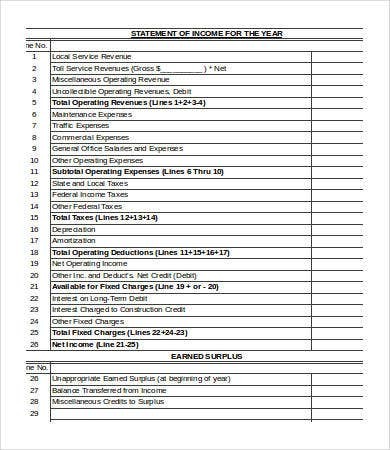 This is a Financial Statement Template that estimates financial standing in a future scenario, providing current conditions persist. Provides valuable insight and may convince external support for your company. 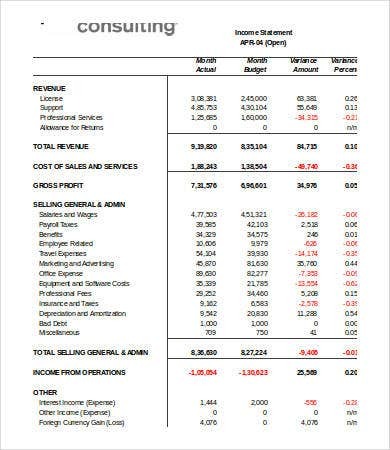 Monthly Income Statement Template. For a tighter control over your finances, this one helps you keep track over a monthly basis instead of quarterly or annually. 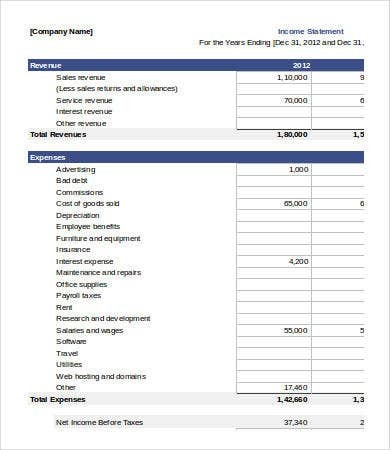 Annual Income Statement Template. This is for a grander picture of overall performance and standing within a fiscal year. 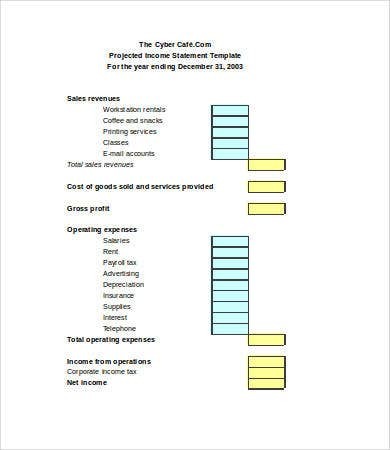 Company and Business Income Statement Templates. 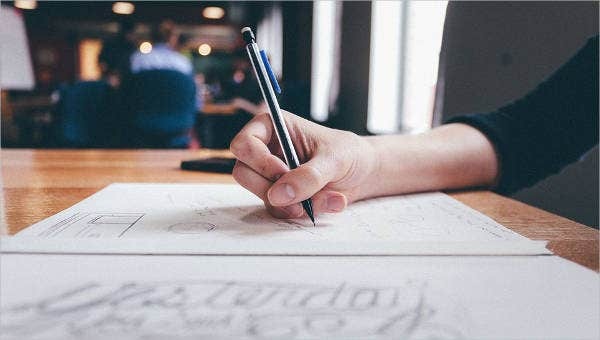 The variations of this form will always include a Profit & Loss Statement Template, since this is what investors, managers, and stockholders are most interested in knowing. If you are looking to draft any of the above, these free Excel samples will be more than just handy blueprints—when modified a bit, they can be your official, primed and ready income statements. The operating section. This will show the revenues (cash inflows) and expenses (cash outflows) from company or personal transactions over the accounting period. The nonoperating section. Here you will detail any revenues and costs that happen in tandem with the usual activities but still affect net profit or loss. May include tax expenses and unexpected cash gifts. The bottom line. This will summarize everything into your net profit or your net loss. If you are doing a single-step income statement, everything will be calculated in one go—i.e., operating and nonoperating costs subtracted from revenues. A multistep income statement will separate operating and nonoperating section calculations and then combine them toward the bottom line. Understanding these key elements will help you use any of the templates you download from this page.